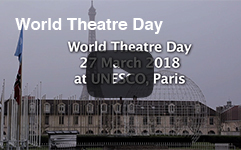 Every year the Executive Council of ITI choses an outstanding theatre personality to write the message for World Theatre Day, which is celebrated since 1962 on the 27th of March all over the world. For 2019 Carlos CELDRAN from Cuba, the outstanding stage director, playwright and theatre educator, has been selected the message for 2019. “Before my awakening to the theatre, my teachers were already there. They had built their houses and their poetic approach on the remains of their own lives. Many of them are unknown, or are scarcely remembered: they worked from silence, in the humility of their rehearsal rooms and in their spectator-packed theatres and, slowly, after years of work and extraordinary achievement, they gradually slid away from these places and disappeared. When I understood that my personal destiny would be to follow their steps, I also understood that I had inherited that gripping, unique tradition of living in the present without any expectation other than achieving the transparency of an unrepeatable moment; a moment of encounter with another in the darkness of a theatre, with no further protection than the truth of a gesture, a revealing word. 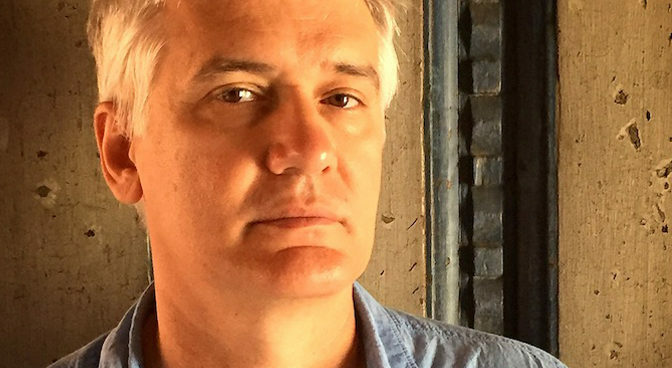 Carlos Celdrán is an award-winning and highly esteemed theatre director, playwright, academic and professor, living and working in Havana, Cuba and presenting his work all over the world. Born in 1963 in Havana, Carlos Celdrán first honed his love and expertise of theatre at the Higher Institute of the Arts in Havana, where he received a Bachelor’s degree in Performing Arts Studies. After graduating with honours in 1986, he immediately went to put his learning to professional use in the field, working first as resident advisor, and later as resident stage director for Teatro Buendía in Havana. He held this role until 1996, at which point he decided the time was right to create his own theatre group, the now world-known and highly esteemed Argos Teatro. Based again in Havana, Cuba, Argos Teatro has won great fame with its renditions of European classics, contemporary Latin American plays, and original productions under Carlos Celdrán’s expert stewardship as stage director. The performances of Argos Teatro have aimed to breathe new life into the canon of modern European theatre, with performances of Brecht, Beckett, Ibsen and Strindberg bringing European culture and tastes to a Latin American audience. They have done much work for Cuban playwrights, showing productions of local artists such as Gonzalez Melo on multiple occasions. It is this fusion of different cultures that has helped Argos Teatro, one of Cuba’s leading theatre groups, to be acclaimed beyond borders. Their celebrated acting laboratory, which seeks to find a common language for performing artists, has been considered a heralded initiative which brings the world together. The highpoint of the company’s existence to date was its production entitled Ten Million, a piece written and directed by Carlos Celdrán himself. This piece won critical acclaim, and was performed both in Cuba and internationally. Their most recent showing, Misterios y pequeñas piezas (Misteries and Small Pieces) in 2018, also written and directed by Carlos Celdrán, has been likewise well received. Such endeavours for Cuba and international theatre have seen Carlos Celdrán recognised with awards and plaudits on countless occasions. He has won the Cuban Theatre Critics Award in the category of Best Staging on multiple occasions – receiving the award a remarkable 16 times from 1988 to 2018. Beyond this critical acclaim, he has also won the recognition of his country and the world, receiving the National Distinction of Cuban Culture in 2000 and the Cuba National Theatre Award in 2016, among many others. During this remarkable career, Carlos Celdrán has remained dedicated to inspiring and helping others by working as a professor at high-level institutions in Cuba, South America and Europe. He himself has constantly worked to improve and deepen his knowledge, receiving his Master’s in 2011 from the Rey Juan Carlos University of Madrid. Carlos Celdrán’s teaching skills have made him be part of the faculty of the Cuban Higher Institute of the Arts for more than 20 years, and has been the head of the Master’s Degree course for stage direction since 2016, passing on his knowledge to the next generations of Cuban theatre makers. At the same time as this, he finds his outlet for artistic expression with his direction and playwriting with Argos Teatro.